bartlett mitchell, one of the UK’s leading independent caterers, has launched a series of new food ranges targeted at flexitarians, the fast-growing consumer group which bases its food choices on eating less meat and more plant-based products. The menus, which are essentially suitable for vegans, vegetarians and gluten-free consumers, all share the same principle of using a diverse range of vegetables to create natural and nutritious dishes. Launched as part of its DARE (Delicious and Responsible Eating), bartlett mitchell is aiming to target an increasing number of customers seeking vegetarian and vegan foods for reasons beyond animal welfare issues. 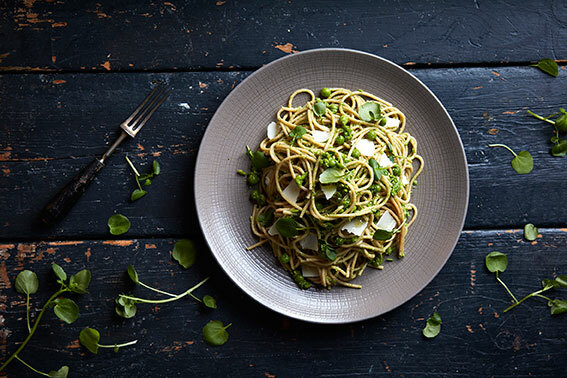 Dishes include baked pea pesto wholewheat spaghetti, cod walnut miso, gremolata, and a vegetable shakshouka served with fruity couscous. 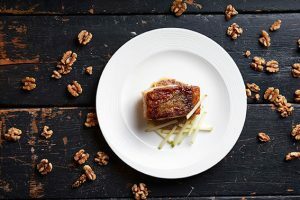 Developed by Pete Redman, chef director; Lin Dickens, marketing director, and Emma Sison, senior marketing designer, the initiative is part of the company’s continuous trend and research based menu development strategy. In the last year alone, bartlett mitchell has introduced a ‘Raw and Ripe’, a pressed drinks range; ‘Perkee’, an ethically sourced coffee brand, and ‘Deal-licious’, a street food concept aimed at the grab and go market. Lin Dickens, marketing director, bartlett mitchell, said: “We know it is hugely important for us to continue to innovate our food to ensure that we are meeting the changing needs of today’s consumer. Whilst there are trends which will come and go, we are seeing a continued popularity in ‘clean’ living which is driving consumer choices. As part of the menu launch, bartlett mitchell has also introduced ‘Noodle Bar’ to cater for customer demand for high quality, authentic and portable street food and, ‘Oatily Awesome’ which is designed to capitalise on the customer trend to ’breakfast at work’.